Nutritional yeast really IS nutritious and it really IS yeast. But why is it interesting to us in plant-based cooking and why couldn’t it have a cool, exotic name like quinoa or romanesco cauliflower? It actually has been nicknamed, “nooch,” which is kind of cute. This golden yellow, mildly cheesy/nutty tasting powder (or flake) is a staple in the veteran vegan pantry. But to the vegan virgin, it’s definitely alittle strange and unfamiliar. The name doesn’t inspire one to build recipes around it but, alas, it gives many vegan recipes the boost of B vitamins, folic acid, selenium and that we need and the taste of cheese that we love. If you’ve seen nutritional yeast called for in recipes, you know it is essential to achieve that certain taste to make your recipe successful. 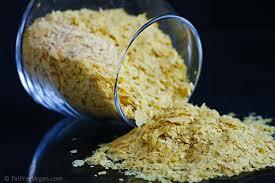 The importance of nutritional yeast for vegans is that it is a complete protein, low in fat and sodium, dairy-free, gluten-free and sugar-free. Many brands are often fortified with vitamin B-12 but check the label to be certain. 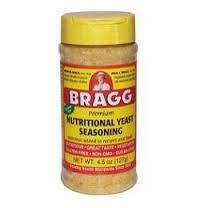 Nutritional yeast has no leavening properties because it’s been deactivated so it cannot and should not be used for the same purpose as Brewer’s yeast. 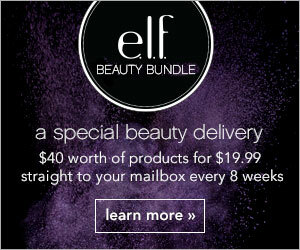 It comes in both powder form and flake form and it’s found predominantly in natural food supermarkets. 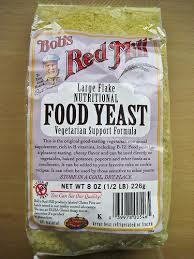 You can usually find it in bulk barrels or packaged by companies like Bob’s Red Mill and Red Star. Nutritional yeast can be used as a condiment to sprinkle on foods that need a cheesy kick, such as popcorn, mashed or baked potatoes or pasta. For convenience, there are flavored, sprinkle and serve products, as well, in some markets. I try to sneak some into any recipe that I can for it’s nutritional value. Cooking with it can fill the void for savory flavor that the lack of cheese leaves. 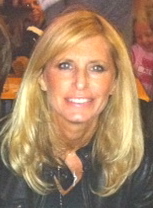 I’ve collected a few recipes that use nutritional yeast that I’d like to share with you…. Directions: Blend all other ingredients in a blender until smooth. Add 2-3 tablespoons of water, as needed, to achieve desired consistency. 1) First boil the water for the noodles with a dash of sea salt and 1/2 tablespoon of oil. 2) Next, make the sauce by putting 2 cups of cashews in your high powered blender and add water so that it covers the nuts by about an inch or two. Then add the remaining sauce ingredients and blend on high until smooth. Taste and add any additional salt or seasonings you wish, to obtain the flavor you prefer. 3) When the water boils, add the noodles, and stir occasionally. Once the noodles are cooked, drain and add them back to the pan. 4) On low heat, stir in as much sauce as you desire, along with the steamed broccoli (or whatever veggies you want). I also like to add a little almond milk during this part, and will taste again, and sometimes add more salt if needed, prior to serving. 5) Once everything is heated through and tastes good, serve topped with sautéed mushrooms (if you so desire), and enjoy! 1) Steam the broccoli about 6 minutes. Prepare the rice according to package directions. 2) Spread the cooked rice evenly over the bottom of a 13 by 9 baking dish. Sprinkle the broccoli over the rice and set aside. 4) Melt the margarine in a medium sauce pan over low heat. Beat in the flour with a whisk over medium heat until the mixture is smooth and bubbly. Then whisk in the boiling water, salt, soy sauce, garlic, onion powder and tumeric. Cook the sauce until it thickens and bubbles, stirring constantly. 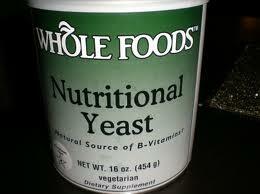 Then whip in the yeast. Add salt and pepper to taste. 5) Pour the sauce over the broccoli and rice, sprinkle the top with paprika and bake for 15 minutes. If desired, place pan under broiler for a few minutes until the sauce is browned and crusty. 1) First toast the nuts. Preheat a large heavy bottomed skillet (preferably cast iron) over medium-low heat. First toast the walnuts for about 5 minutes, tossing them often. Then add the pinenuts for an additional 5. They should turn a few shades darker and smell warm and toasty. 2) Transfer toasted nuts to a food processor. Add the garlic and pulse everything into fine crumbs. Add the basil, cilantro, thyme, salt, nutritional yeast and water and puree until relatively smooth, scraping down the sides at least once to make sure you get everything. Stream in the olive oil and blend until well combined. Last but not least, blend in the lemon juice. 3) I serve it over warm pasta (don’t rinse, it needs the starch to stick), and finish it off with some fresh black pepper. Easy Vegan Pesto–It Goes On Everything! These ladies are wonderful,I follow them on facebook and they really guide you through vegan lifestyle! Thank you for this nutritional yeast article because I was lost on it for so long! You guys are great! Thank you!